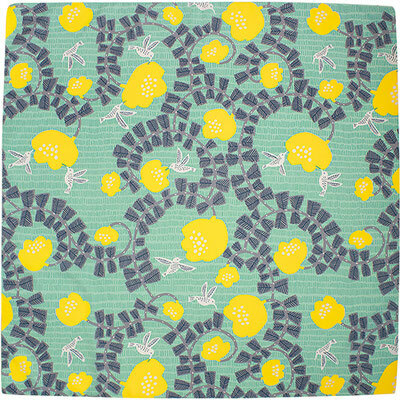 New addition to the FUROSHIKI "Aquadrop" series! The new face is fresh green and yellow with hummingbirds motif. 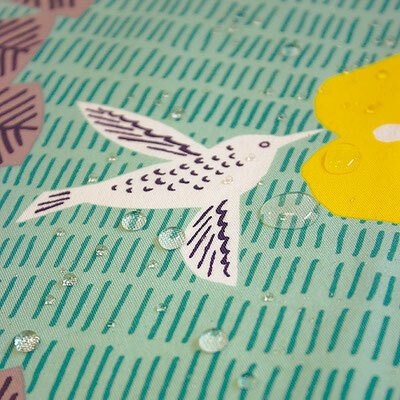 go to shop ⇒ Aquadrop Furoshiki 100cm "Hummingbird"
A very popular Aquadrop Furoshiki with "cats and birds" also re-stocked! 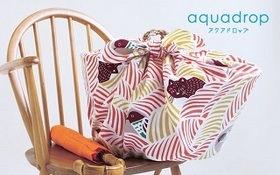 go to shop ⇒ Aquadrop Furoshiki 100cm "cats & birds"
A playful Furoshiki, made with a water-repellent finished fabric. What's good about it ? Protect your bag and any other belongings from rain. 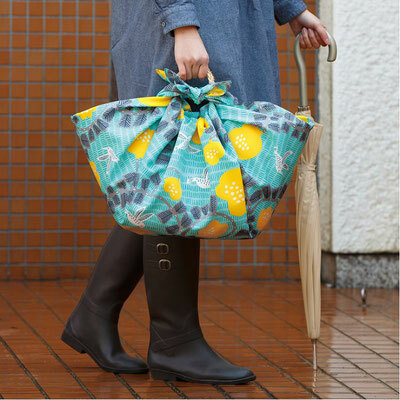 It can also serve as a picnic blanket, table cover etc. The black cats are a symbol of luck and prosperous business.